I am not a Black Friday shopper. There, I have admitted it. 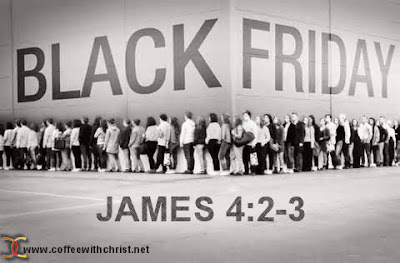 Not that I think there is anything wrong with those of you who do Black Friday shop. I love a deal just as much as the next gal. And it isn't even the crowds that keep me away, I can handle those. And while I am TOTALLY not a morning person that isn't the reason I chose to stay home either (although it definitely is a bonus to get to snuggle under my warm blankets until I smell my automatic coffee pot begin to brew its delectable offering!). I don't Black Friday shop because very rarely is there something on sale that my family and I really want at a price that we are willing to pay. When those two things merge on the day after Thanksgiving you will find me patiently waiting in line with the rest of you. Several years ago I stood in line for a few hours with my sister to purchase the Game Boy that my son had been requesting all year long. We laughed, we talked with those in line around us and generally enjoyed ourselves. And I have to say that on the times that I have ventured out I have been pleasantly surprised to NOT witness the chaos that the media tends to portray it as. There was no pushing or shoving, no people being trampled, and no foul language being shouted angrily. Now I am not naive enough to believe that this is the case everywhere, as it obviously isn't. But if you are a follower of Christ, it shouldn't ever be the case for you (and me!). Can't you just picture him standing in the midst of a full on Black Friday brawl shaking his head in disbelief? Only, he was talking about a once a year sale. Instead he was talking about the every day struggles within us - our desire to have a house bigger than our neighbor, a car nicer than our friends, a TV that dwarfs all others, the latest phone, the newest tablet etc. You see, we all have passions. We were built to. The problem comes when we misdirect our passions to selfish desires. Galatians 5:24 says those selfish desires, or desires of the flesh, were supposed to die when we gave our life to Christ. Instead we should be passionate for the things that please Him. He wants our passion to be for Him and not ourselves or even other people. (Colossians 3:23, 1 Corinthians 10:31) In order to do this we must first spend time getting to know Him. Pray, study His word, learn all about him for yourself. Unfortunately just showing up at church once a week and listening to what someone else says about Him isn't going to cut it. You wouldn't expect to learn all about your spouse or children by listening to what their friends say once a week and then not talking to them the rest of the time would you? Why do we so often expect it to work with God? When our passion is for Him, He starts directing us on how to be passionate for others. It may be that you are called to raise a family, to serve in a shelter, to teach others, to reach out to your neighbor that seems so grumpy. Or it may be to hand the person beside you in the store the last of THE sale item with a smile on your face. I can't tell you what He is calling you to, but I can tell you that you won't know if your passion is misdirected. Happy Black Friday.